The popularity and effectiveness of your website needs to be measured, analyzed and predicted to achieve a steady business growth. The world of web is a virtual earth; with dimensions so great the competition is tough and global; you need proper technology and strategies to manage it efficiently. Internet marketing automation is a series of software built to help you and your company to be successful in the web world. However, you can actually move all your sales via desktop, mobile or direct all into this one single platform. Workflow automation: This is the basic function. 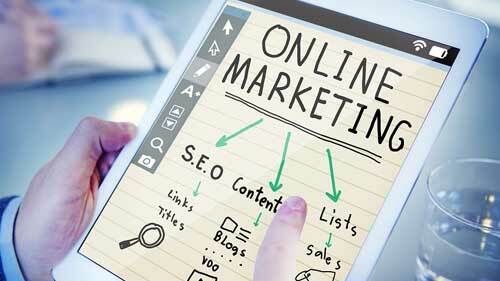 Marketing on the web has a series of channels and functions. It is difficult to do these repetitive tasks manually. One concern is that one single error has a direct impact on your profit. Secondly, with sophisticated and appropriate software assistance, you will have more time in building sales strategy and your next sales or ad campaign. Any standard software in the category is equipped to process, store, analyze and report all kinds of marketing database and leads. Wasting precious labor on manual monitoring is no longer advisable. Central database: Yes you can integrate data across all relevant departments since there is one single database. Sections like Customer Relationship, Sales, Marketing, and Finance are interdependent for data. With a common and central database, time is definitely saved and that too in a very sophisticated manner with the possibility for zero error. Monitoring marketing campaigns: This has never been easier. In medium and large businesses there are several simultaneously marketing campaigns. With internet marketing automation, performance of each of these campaigns is automatically notified along with analysis and predictive modeling. Web analytics section of this robust software has the capability to monitor your clients’ activity on your website and also advise you on the next logical step for sales. Data gleaning is a tough job with data input from so many web platforms. This tool box is like a conductor across several offline and online channels bringing you those inputs that are relevant for your growth. If you are expecting effective and optimized growth you cannot ignore this technological advancement. Improved ROI: This is the automatic benefit of using marketing automation software. The ROI of your company has to improve with optimization on all fronts of marketing and integration of relevant workflow from various related departments. It helps in both the category of transactions and business like B2B or Business to business and B2C or Business to Customer directly. Examples of B2B are manufacturing, technology developers and others. B2C business includes retail, financial service, entertainment and others. Big enterprises where marketing occurs in several channels with a huge and growing database. Small and Medium sized business can also benefit from marketing automation software. In fact, SMB is the growing market for these softwares. There are software which are specially built to cater the needs of the SMBs. Increase website traffic today with the leading traffic exchange at 10KHits!